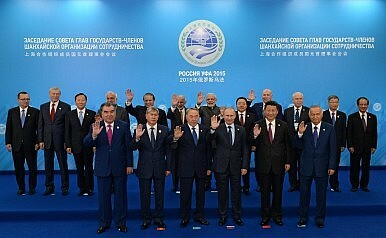 The 2015 SCO Summit in Ufa, Russia. Could the SCO Expand Into the Middle East? The Shanghai Cooperation Organization recently added India and Pakistan. Could Iran be next? India-Pakistan Tensions Test the Shanghai Cooperation Organization's MettleChina Will Regret India's Entry Into the Shanghai Cooperation OrganizationWill India and Pakistan Cripple the SCO?India and Pakistan to Join SCO, Is Iran Next?What’s Next for the Shanghai Cooperation Organization?